The golden member of the Bushmill family, this edition is a blend of triple distilled single malt whiskey with a lighter irish grain whiskey. 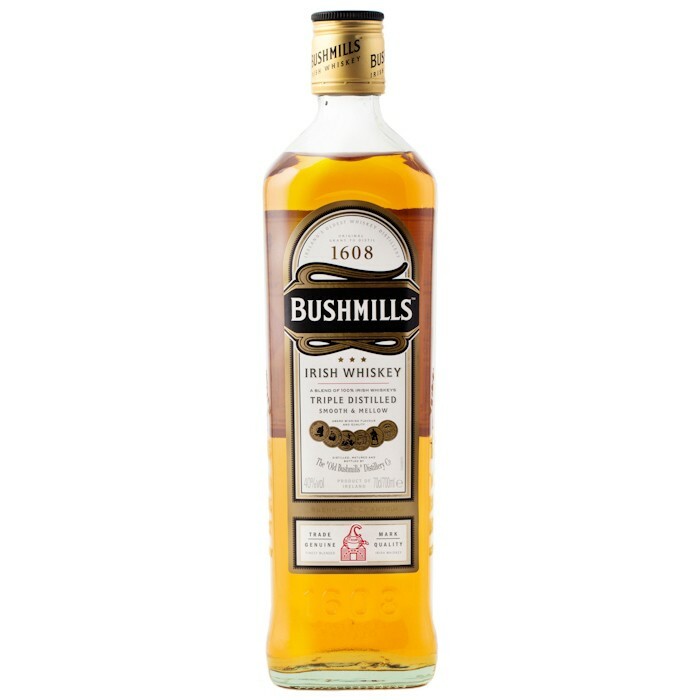 Overall, Bushmills Original Irish whisky is an approachable whisky with a rich‚ warming taste of fresh fruit and vanilla. Nose:Light and fruity with spicy aromas. Vanilla as the nose soon develops into crème brulée. Palate: Tangy, elderflower. A little coastal and mineralic. Finish: Long. Sweet barley, tang and cardamom.